It’s 2013, and I still don’t have an invisible car. I also don’t have an ejection seat. Worst of all, my car can neither fly nor go underwater. So I want to extend a bitterly disappointed thanks a bunch to the many movies and TV shows that have raised my hopes beyond all measure only for them to be dashed in a grey modern world where I still can’t even get my hands on a simple Batmobile. An invisible car has a lot of applications. For example, um, well… ok it doesn’t have that many applications but I WANT IT. In Pierce Brosnan’s final outing as James Bond in Die Another Day his invisible car (which many people saw as the Bond franchise jumping the shark but which I thought was basically amazing) was explained with the notion that a car covered in microscopic cameras could project an image of what sits behind the vehicle to onlookers, making it appear invisible. You might think that sounds ridiculous, but the technology is actually starting to gain ground. 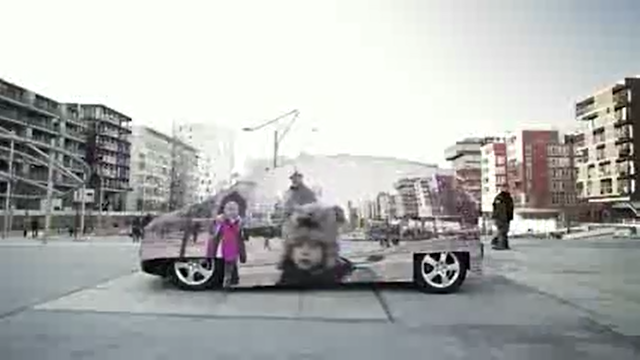 Last year Mercedes revealed their new F-Cell car by successfully turning it invisible using LED mats and a digital camera (in a clever metaphor for the invisible effect the car will have on the environment…). So it can’t exactly be driven in secret or used to fight crime, but it’s encouraging to know that I’m not the only one who is still clinging on to this dream. Now, ejection seats are obviously a real thing which aircraft have used for a long time so that crew can escape safely during emergencies. So my complaint isn’t that ejector seats don’t exist; it’s that I can’t have one in a standard car for my own leisure use – for example if a passenger is backseat driving, or insisting on playing really terrible music, or I simply think it would be hilarious to eject them as a fun surprise. The TV show Mythbusters actually tried this out, and they did manage to successfully modify a car to include an ejection seat (it didn’t look massively safe, but still). So I guess I could add one to my car, but I’m not sure even a comparison engine could find an insurer to help me get the thing legally on the road. Right, this one is actually a really good idea. Imagine – you arrive at the seaside one beautiful Saturday morning but alas, there’s nowhere to park! Just keep driving right into the sea. Drop the anchor (I might be confusing submarines and pirate ships now…) and then swim to shore looking suitably smug. And you can forget queuing to board the ferry to France or even the Eurostar. Just submerge your car and drive there underwater. Easy! A guy called Frank Rinderknecht has actually built this dream car already. The only trouble is that it cost $1.5million to build and that is actually a little out of my price range. It also only goes at 2mph underwater, and I am really looking for something a little zippier. But it’s certainly a start, so I won’t complain too much about this one. The future as I imagined it 20 years ago may not quite have arrived, but we are slowly getting there. And if anyone has news on flying cars or commercially viable Batmobiles please let me know.